Lent is one of the oldest Christian traditions, yet it has been lost to our modern ideas of Christianity. What was for hundreds of years about embracing the cross of Christ and eliminating worldliness from our lives has been reduced to not eating chocolate or drinking coffee for forty days. But Lent is so much more than that. Join GFA and its partners as we seek to make Lent 2014 significant for the church, for Christ and for the unreached. 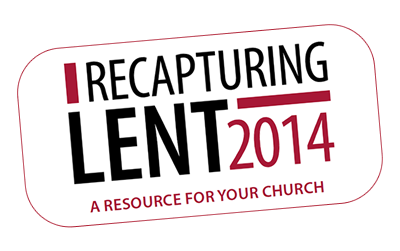 Together, we can recapture Lent and recapture Christ’s heart for the unreached. If ever a church needed lent, it’s our modern Western church. Imagine what your church would look like if people’s focus was brought back to living wholly for Christ. Recapturing Lent is a resource to bring long-term change in individuals and churches, away from the world and towards impacting the unreached. This obviously means more than giving up chocolate! Starting with Ash Wednesday (or the sunday before Lent), we are planning a four-week focus for your church. This will be empowering, Jesus focued, engaging active celebration for both you and your church. Gospel for Asia will provide your church with inspiration and encouragement to individually and corporately change the world for Christ. Simply sign up to let us know that yourself and your church are interested and we will update you as the resources are launched.